The YMCA of Greensburg, one of the oldest YMCAs in the country, was in need of a major website redesign. And the national YMCA had just launched it new brand strategy, updating the “Y’s” image and unifying all YMCAs nationwide. At the core of the Y’s new brand are the three areas of focus: Youth Development, Healthy Living, and Social Responsibility. Adopt new corporate brand, but make it their own. 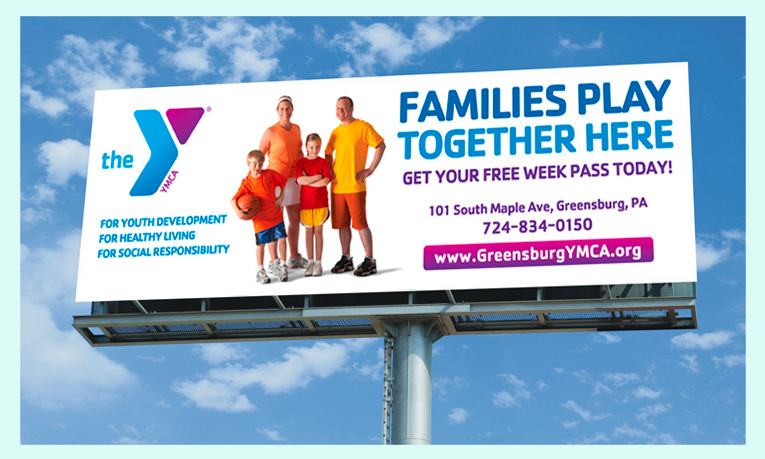 Develop the “face” of the Greensburg Y. Feature photography of the facilities and real people. Tell the story of “our” Y, lives changed, community strengthened. Improve navigation, user experience, SEO, social media connections.